Bundled "Authentic" Collection is all about you and how great you really are! 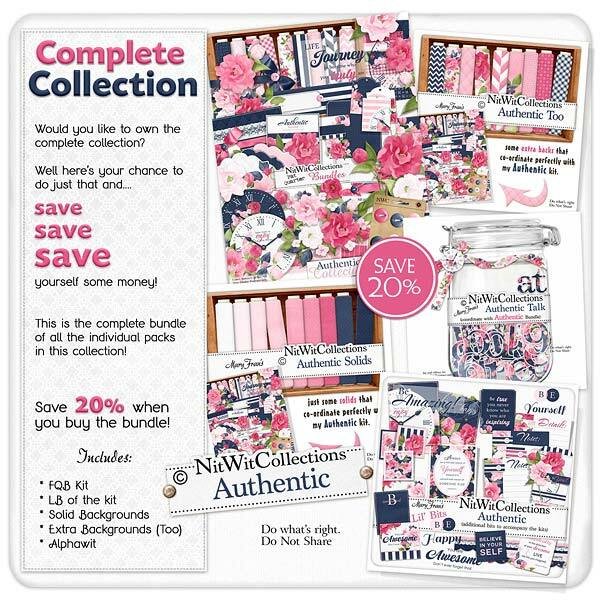 The bold and confident pink and navy colour palette of this digital scrapbooking and card making kit are the perfect blend to celebrate your life and personality.....as we all have our strengths and beauty. Create a layout, mini album or card that honours you or someone you love. Let's focus on building ourselves and others up and show it in the beautiful light of this kit!